Approved to drive means I-Ling has provided their driver’s license number and passed the Turo driver screening process. I-Ling is the best host on TURO! It was my first time driving an EV so I had lots of questions and concerns. She made sure that I felt comfortable throughout the trip. If you haven’t driven an EV, you should try it! The BMW i3 drives like a dream. The acceleration is fast (high torque) and responsive. Also the brake system recharges when you let go of the gas (and brakes by itself), so you can drive without braking (unless you need to make a sudden stop). You need to get used to it. Look up the car on YouTube to see what I mean. A big plus for driving on the island with an EV is the free street parking. I didn’t have to fumble to try to fill up the meter, so it made things really quick. One thing that was slightly difficult was finding charging stations. If I had a garage at my AIRBNB where I could charge then it might have been ok. But that takes a bit of planning. Summary: So the car was fun, but the host was awesome. I-Ling was such a pleasure to communicate with and rent from! The car was super cute and exactly as described, and easy to find. 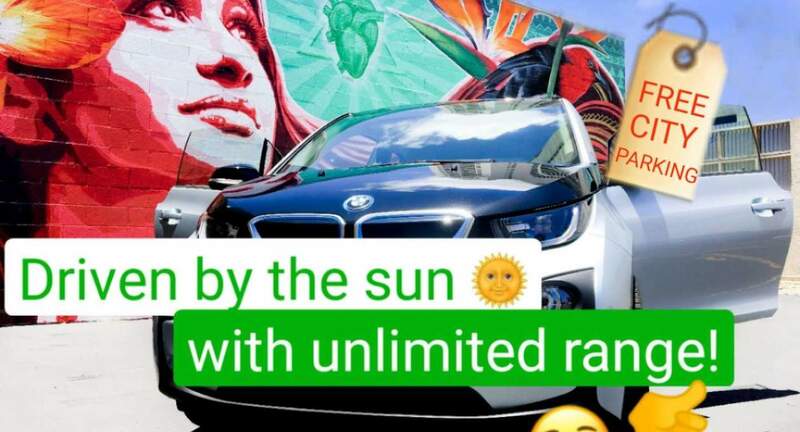 She was very flexible with returning the car a bit late as we needed extra time to re-charge the car, but let us know options in advance so that we would have the ability to choose! One tip though for other drivers would be that the car is great for short trips to the north shore but as there are few charging stations up there, make sure to charge when you get back to a major city OR charge it as soon as you get there BEFORE you do you activities as it will take 4-5 hours for full charge. Most the houses there don’t have stations so you’ll want to leave it somewhere during the day most likely than risk doing so overnight and then head back to your Airbnb or hotel (tip - the Turtle Bay Condos do have where you can safely leave it while you go to the restaurant or explore a bit, but it is not free).